Home News Why won’t Corbyn meet May for Brexit talks? Because he’s too thick? Why won’t Corbyn meet May for Brexit talks? Because he’s too thick? THE easiest way to refuse to negotiate a deal and make an appearance of being reasonable about it is to set impossible preconditions. On this, the Labour party has form. When there was pressure for the UK to join the euro, New Labour could have raised objections, just as the Conservative Party in opposition did. Instead they set up ‘five tests’. This was a bit like making an accumulator bet, where the winnings on one horse race became the stake for the next. If all the horses came in, then the payout would be enormous. But the odds of this happening would be equally large, especially if one of the races involved maiden runners where it was almost impossible to know the form. It was a lazy way to say no without actually saying it and to burnish Tony Blair’s credentials of being ‘at the heart of Europe’. So when Labour wanted to seem reasonable in opposing Mrs May’s deal without any actual reference to the nature of the deal, they did a Spinal Tap and went one better than last time. Labour had not just five tests, but six. This saves formulating an actual policy or an alternative deal. More socialist laziness. Jeremy Corbyn clearly did not want to be outdone in the sloth stakes, and created a condition for meeting the Prime Minister over formulating a path out of the Parliamentary deadlock. He demanded that Mrs May take the prospect of leaving the EU without a deal off the table. This is absurd. If the UK does not have the option of walking away without a deal, it means the UK is obliged to accept any deal foisted on it by the EU. This is not a good negotiating position, and is reminiscent of the position of Germany over the Treaty of Versailles, where they could not refuse the deal set before them. But everybody believes that Corbyn won’t meet Mrs May. It might be the case that Corbyn can’t meet Mrs May. There are two things wrong with the above statement. First, no one other than a true believer in St Jeremy has ever associated Corbyn with any involvement in any peace process, and certainly not in Northern Ireland or the Middle East. Second, there is no indication that Corbyn profoundly disagrees with Sinn Fein/IRA, Hamas, Hezbollah, or the numerous anti-Semites to whom he talks. Corbyn finds articulating any disagreements with causes he supports as painful as extracting teeth, and extracting any criticism from him is as hard as pulling those teeth out. Witness the contortions he went through as he was quizzed over his laying of a wreath at the graves of Arab terrorists associated with the Munich Olympics atrocity, this being his second or third version of the truth about what he did. Corbyn seems able to function in meetings only where everyone is already in agreement and there is an absence of spontaneous debate. He seems unable to improvise on the spot or to explore ideas and drive agreement. While she was in the shadow cabinet, Kerry McCarthy observed: ‘My concern steadily grew over what I was hearing from colleagues . . . and what I was seeing at shadow cabinet meetings, where Jeremy tended to read from a prepared script, didn’t respond to our questions, and didn’t convey any sense of strategic direction or leadership‘. We all had the opportunity to see for ourselves how Corbyn conducted himself in the shadow cabinet as he had invited Sky News to film him until he ordered the cameras turned off at the last possible minute just before the meeting started. There is further evidence from his leadership crisis in 2016. His challenger, Owen Smith, told of trying to hold a meeting with Corbyn on his own to try to settle matters, which was gatecrashed by Shadow Chancellor John McDonnell after only two minutes. From Smith’s description, McDonnell took control of the meeting while Corbyn came across as entirely passive. The Jewish leaders who met Corbyn last April to discuss Labour’s structural anti-Semitism reported that the meeting was not constructive. Corbyn was said not to have considered any of the issues that the the heads of the Jewish Leadership Council and Board of Deputies had raised with him in a letter. Corbyn, who is, let us remember, the Leader of the Labour party, stated that ‘procedural issues’ prevented him from doing anything. He could not demonstrate actual leadership. Since then, nothing has changed. A Corbynite member of the Welsh Assembly was suspended for less than three months for accusing members of the Jewish community of having a ‘siege mentality’ over anti-Semitism. 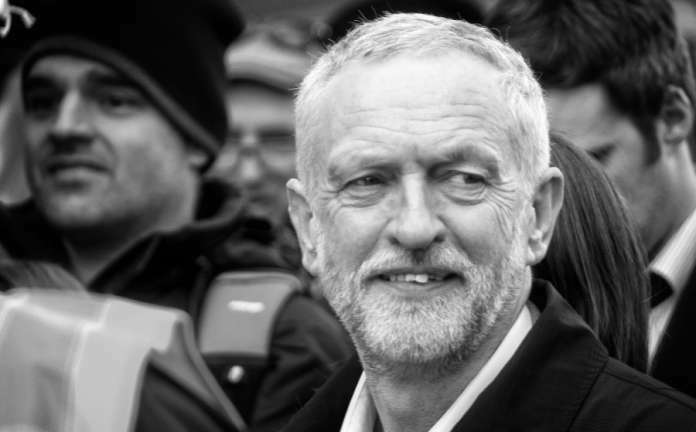 I have written previously about how Corbyn might just be the figurehead of a collective leadership, and he might not be the leader in this collective. It is possible that, in a universe parallel to our own where Jeremy Corbyn is Prime Minister, he would alter Prime Minister’s Questions to remove the questioning element, or invite other Labour ministers to do the job for him. As Corbyn has never held a position of responsibility, he rarely has had to account for himself, hence his uncomfortable reaction on the occasions he is compelled to do so. This is the most likely explanation for Corbyn’s refusal to meet Mrs May. Shorn of prepared scripts and in a meeting where people hold strongly differing views, Corbyn would flounder. He appears not to engage in meetings unless they are some kind of sloganfest such as condemning voters for not electing Labour MPs. It is to be assumed that he would not be allowed to rely on the close circle of his staff to speak for him when facing the Prime Minister. It would be a make or break moment for Corbyn. And Corbyn seems not up to the job. Faced with having to argue a case on his own, he would break.